T-RQ Multivitamins is scientifically designed for adults to be a complete and effective dietary supplement. This unique formula is the only gummy multivitamin in the world which contains 100% of nine essential vitamins needed for optimal daily nutrition. 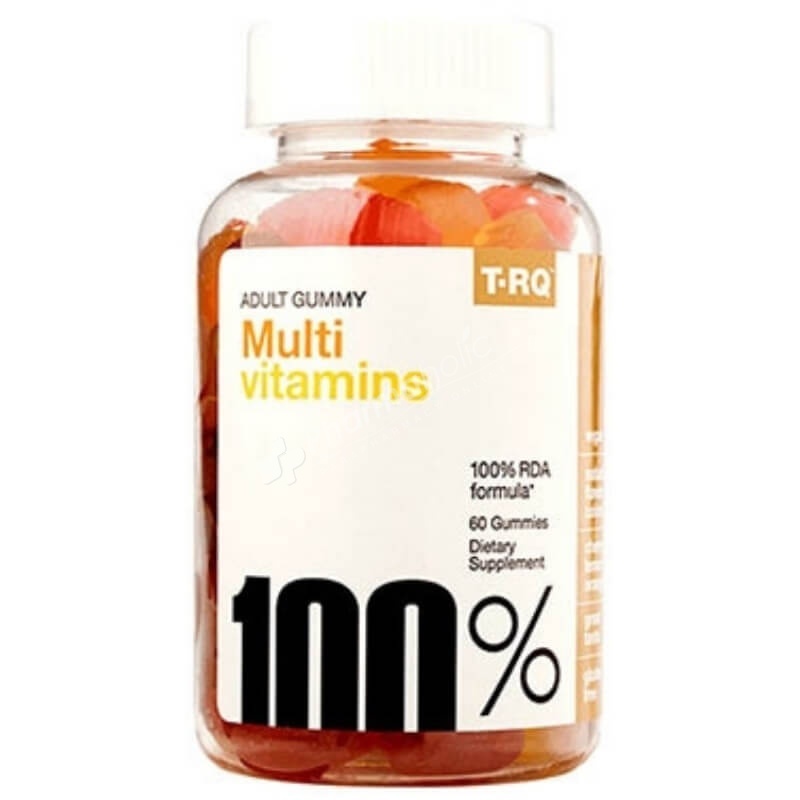 100% – T-RQ ™ Adult Multivitamin 100% is scientifically designed for adults to be a complete and effective dietary supplement. This unique formula is the only gummy multivitamin in the world which contains 100% of nine essential vitamins needed for optimal daily nutrition. Free of: Gelatin, wheat (gluten), milk, eggs, soy, peanuts, artificial flavors, animal derivatives and preservatives. As a dietary supplement, adults chew two gummies daily. Corn syrup, sugar, water, pectin, citric acid, natural flavors (lemon, orange and cherry), colors added (black carrot juice concentrate and turmeric), fiber, fractionated coconut oil and carnauba wax.